KUALA LUMPUR: AIA Bhd has placed a portfolio of 15 assets up for sale as part of its rationalisation exercise. The sale of the assets could fetch the country’s leading life insurer some RM100 million. The assets, which include office buildings, shop offices, condominiums and a vacant land, are spread across nine states. Three of the assets are located in Negeri Sembilan, two each in Johor, Perak, Penang and Pahang, and one each in Selangor, Melaka, Kedah and Sabah. 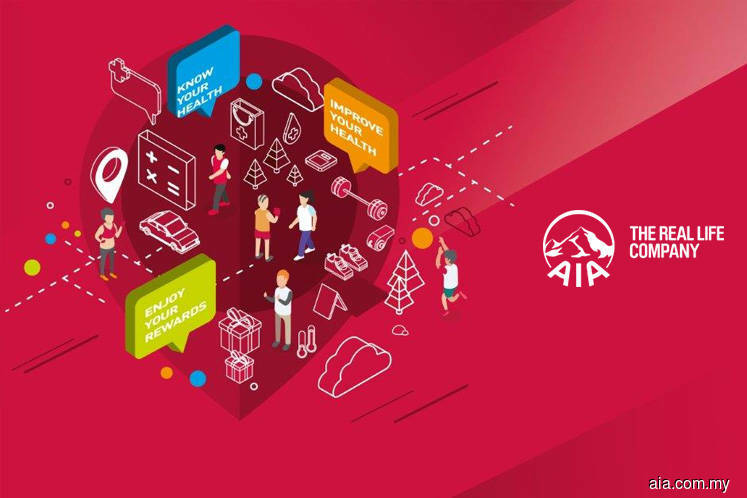 “AIA is currently in possession of a number of non-core and mostly unused properties following a branch rationalisation exercise. We have started a public tender process to explore the opportunity to sell these properties as they are not central to our current business needs,” an AIA spokesperson told The Edge when asked why the group has decided to divest the assets. The life insurer has appointed Jones Lang Wootton (JLW) as its exclusive marketing agent to conduct the sale exercise. In an advertisement that appeared last week titled “Sale by Tender”, JLW invited bids for a list of 15 assets but did not name the owner of the assets. The closing date for the tender is Oct 12. A quick check by The Edge revealed that the owner is AIA. While AIA did not say if all or some of the assets put up for sale were inherited after its merger with ING Group’s insurance business in Malaysia in 2012, The Edge understands that several of the buildings were once owned by ING. The 10-storey office building located in Bandar Sri Damansara, Selangor, that was advertised for sale, was once used as ING’s Insurance Training Centre. It is now being used by AIA as a customer service office. This building, located near the upcoming Sri Damansara West Mass Rapid Transit station, is also believed to be one of the more valuable assets advertised for sale. It is learnt that the reserve price for the Bandar Sri Damansara property is about RM25 million. This freehold property has a net lettable area (NLA) of 44,000 sq ft, not including a 340-seat auditorium area or its swimming pool. The building is vacant except for a customer service office on the ground floor. The site has potential for redevelopment given that the plot ratio in the area has increased in recent years. “The total value of these (15) assets are between RM90 million and RM100 million,” a source told The Edge after a back-of-the envelope calculation based on recent transactions. A property brief obtained from interested purchasers shows that AIA is also inviting for bids for a four-storey purpose-built office with a two-storey office annex at Jalan Bukit Timbalan, Johor Baru. This leasehold property, with a lower ground floor and car park, is located within the state capital’s central business area. It has 31,324 sq ft of land and 27,730 sq ft in gross floor area (GFA). The asset, with 44 years remaining on the lease, has an estimated value of RM15 million. Another sizeable property available for sale is a seven-storey purpose-built building at Jalan Seenivasagam, Ipoh. This freehold building has 46,291 sq ft in GFA and sits on 7,200 sq ft of land. Based on online advertisements for properties in the area, this building may be able to fetch as much as RM9 million. The sole land parcel AIA is putting up for sale is located in Alor Star, Kedah. This commercial land has dual frontages — facing Jalan Telok Wanjah and Jalan Tuanku Abdul Halim. The land is a freehold parcel measuring 74,239 sq ft and has commercial zoning. A quick search online shows that the land could be worth RM10 million. The reserve price of each property is available in the tender document. A prized asset owned by AIA located within Kuala Lumpur’s Golden Triangle that has not been put up for sale in this tender exercise is Menara Standard Chartered. Located on Jalan Sultan Ismail, Kuala Lumpur, across Istana Hotel and near Pavilion Kuala Lumpur, the 46-storey office building has 345,628 sq ft in NLA. This building, where Standard Chartered Bank Bhd’s Malaysian headquarters is located, came into AIA’s possession following the merger with ING. ING bought this building in 2008 for RM328.35 million. The building provides recurring rental income for AIA. This is not the first time an insurance entity is looking to dispose of its assets following a merger. In 2015, AmGeneral Insurance Bhd sold Menara Kurnia at Jalan PJS 8/9, Petaling Jaya for RM85 million.